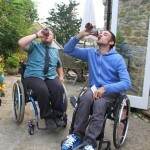 Flyability is a small charity staffed by volunteers in their spare time. In the first instance the best way to contact us is via an email to contact@flyability.org.uk. If email contact isn’t accessible to you then we can also be contacted by phone or by post. 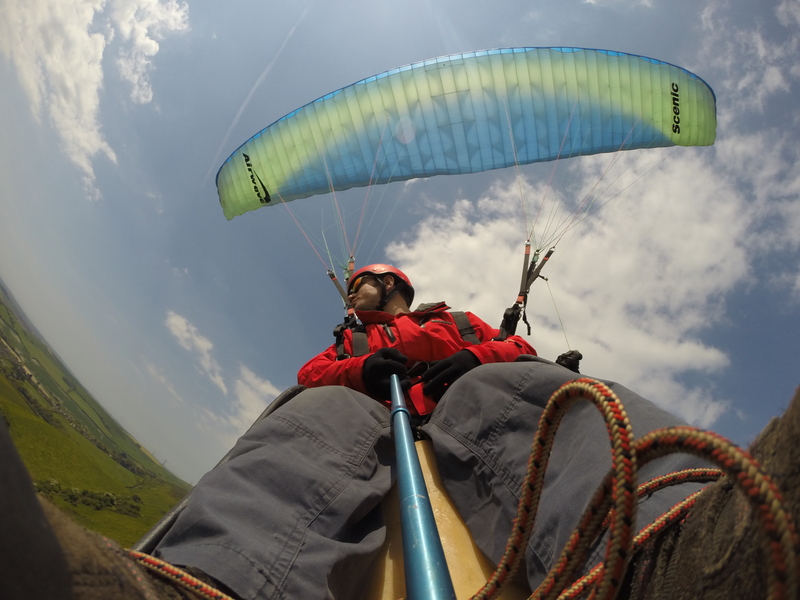 There are some excellent introductions to hang gliding and paragliding elsewhere online, here we give a brief explanation of the positions and mobility usually needed for the different types of flying we support. To fly hang gliders you are in a harness (which can be a basic harness or more of a pod that encloses your legs if you don’t have much control of them) which hangs from the frame of the hang glider. To do this you need to be comfortable lying flat on your front and able to hold you head at least partly upwards to face forward in a sort of superman flying pose. When flying you use your hands and body to move the glider – using your hands to swing your body weight forwards/backwards and side to side. 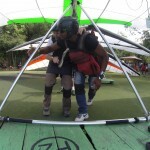 You don’t have to hold on tight – in fact most people learning to fly hang gliders have to teach themselves to ease their grip – but you do need to have enough upper body strength and control to move your whole body around with your arms. It is possible to launch a hang glider from a hill on wheels from the flying position to remove the requirements for running. This does require assistance from someone willing to push the glider downhill until it reaches flying speed. It’s also possible to land a hang glider on its wheels. To foot launch on a hill requires being able to lift the weight of a hang glider on your shoulders and run for a short distance. After a few steps of running the glider will take its own weight, at this point you’d need to keep running faster downhill until the glider has enough speed (and lift) to carry your weight. Foot tow launch and landing is very similar to hill launches except that you are on a flat field rather than running downhill. Aerotow launch is ideal for tandem flights, take off and landing is on wheels and an instructor is alongside you to explain how to move and what is happening. 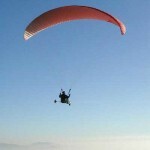 Paragliding can be done either by launching from your legs or with a buggy. 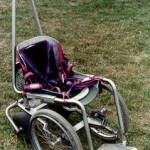 The buggy position is sat upright with legs out in front or slightly raised (depending on the buggy). 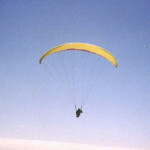 The flying position in a standard harness is similar. You fly in a sitting position but with your legs dangling (like sitting on a high seat). When flying you use your arms and hands to pull a brake handle on each side of your head – therefore to maneuver the glider you need to be able to lift your hands up above your head. Launching on foot from a hill will generally involve some running OR if launching with a buggy then there is absolutely no running required. Towed up by winch generally doesn’t need more than a taking a few steps if the weather is ideal. In nil wind conditions then some running could be needed OR if launching with a buggy then there is absolutely no running required. Towing generally takes place in flat fields and so any walking or running is on a more predictable surface than on many hills. 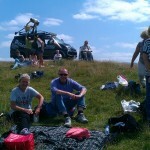 The British Hang gliding and Paragliding Association is our governing body. They oversee all UK Schools and training as well as the network of Clubs that enable qualified pilots to fly. Schools provide training to students seeking to become qualified. The standard ratings available from Schools are Elementary Pilot (EP) and Club Pilot (CP). Once CP rated pilots are free to fly without supervision from an instructor. At this point they start to fly with their local club. Within clubs Coaches are trained coaches who are available to help new pilots find their feet and build their confidence. A CP rated pilot can work towards Pilot and Advanced Pilot (AP) ratings through working through exercises, exams and improving their flying skills. Once Pilot rated pilots can fly cross country (XC) which involves flying from one area of lift to another to cover considerable distances. Leagues and competitions allow XC pilots to compete and compare their skills and ability. There are three main ways Flyability offers support people entering the sport. Our scholarship scheme offers financial support to help disabled people train up to CP level. We have a large amount of experience and contact with disabled pilots and Schools that have trained disabled pilots to offer advice and support to help you get flying. Just saw this on FB and am interested. Although my son has cp and is 6 years old. He may be too young now. 6 is a bit too young really – to learn to fly most schools will ask for pilots to be over 16 (although most will offer tandems and sometimes training to people as young as 14 but it isn’t possible to qualify until 16 so schools try not to frustrate teenagers by teaching them too early!). We have had a lot of pilots come through with CP who’ve flown tandem and qualified as pilots.